For the first time in more than 20 years, Vanity Fair has a new editor in chief. 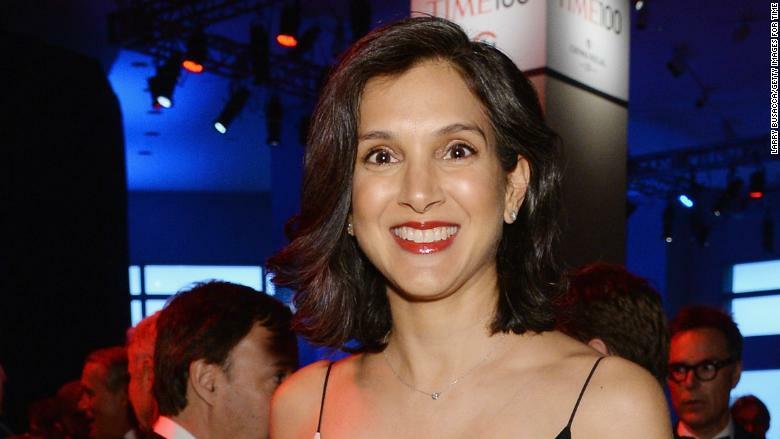 Radhika Jones, the editorial director of The New York Times books department and former editor of Time magazine, will take over as top editor of Vanity Fair, replacing Graydon Carter. Vanity Fair confirmed the news Monday, after multiple reports over the weekend indicated that Jones was taking over. Jones, 44, will be the first woman to run Vanity Fair since Tina Brown, a British journalist who edited the magazine from 1984 to 1992. She will also be the first woman of color to hold the top editing spot at Vanity Fair, which is owned by Condé Nast. "There is nothing else out there quite like Vanity Fair," Jones said in a statement. "It doesn't just reflect our culture -- it drives our understanding of it." Jones will become only Vanity Fair's fifth editor in chief, a job that still carries glitz and prestige even in an era of harsh newsroom cutbacks. Condé Nast has not been insulated from that climate, with layoffs arriving last week at another one of its iconic magazines, GQ. Vanity Fair said Jones' appointment begins December 11, marking a dramatic newsroom shift for the magazine. After 25 years as editor in chief, Carter, 68, said earlier this year that he plans to resign in December, ending a storied run for one of the last remaining giants of New York media. Carter's announcement prompted immediate speculation over his replacement, with names such as New York magazine's Adam Moss and Janice Min, who stepped down earlier this year as The Hollywood Reporter's lead editor, floated as possible successors. On Monday, Jones' most recent employer, the New York Times, described her hire at Vanity Fair as a "surprise choice." Condé Nast brass hailed her credentials. Anna Wintour, the longtime editor in chief of Vogue and artist director at Condé Nast, called Jones "a fearless and brilliant editor whose intelligence and curiosity will define the future of Vanity Fair in the years to come."